David Nash, GM Nutrition & Quality Equine Nutritionist BARASTOC (Ridley) Nutritional, health, management and environmental factors are all interrelated to contribute to building your horse back to peak performance. 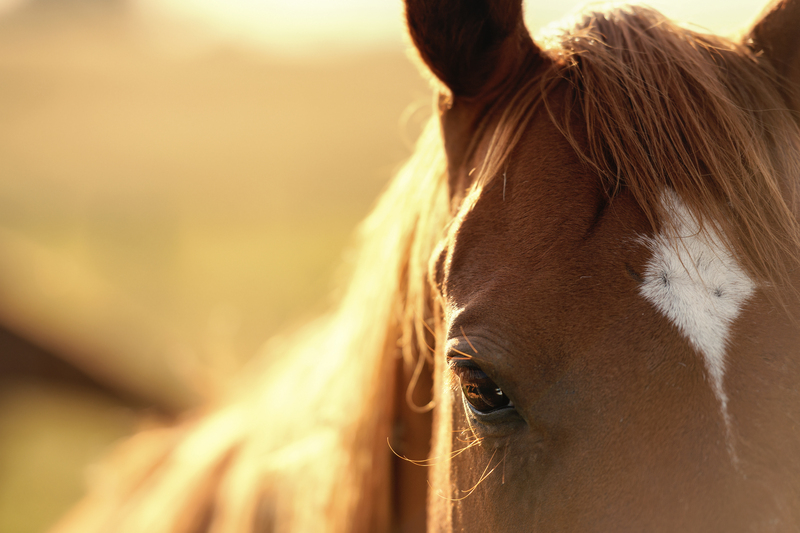 We will briefly examine these topics to assist in getting your horse back on the right track. In assessing whether your horse is flat because of nutrition we need to ascertain your horse's current condition. Weight, height, condition score, workload, feeding intake and type, pasture type and geography — and most importantly, any changes in these factors — are required to assist in determining what changes have occurred and what changes may assist in finding a solution. Typically we see horses that are flat nutritionally after a period of not exercising, when you have not matched feed intake with your horse's new workload, or if you have increased the degree of intensity of the work you are asking your horse to perform at. An example would be that you have progressed your horse from Novice to Medium to Advanced dressage training. Whilst you may be still riding your horse for the same period of time, the energy your horse is exerting is quite different. In guidance with your nutritionist, I would look to increase the energy content of the diet in line with the work and condition desired. This may mean simply the addition of grains or other carbohydrate or fat energy sources if the diet is already balanced on all other nutrients and you just require energy, or slowly establishing a new diet in the correct ratios of nutrients to meet your horse's new nutrient requirements. The addition of fats as an energy source is a really good option for gaining condition without affecting the glycaemic regulation of the body and also without affecting the horse's nervous disposition. If we are looking at carbohydrates as an energy source, they are digested in a different way to fats and may give your horse literally a "sugar rush". If you are looking for this type of reaction for a performance, additional energy in the form of carbohydrates/starch, such as grains, will be a useful tool. Just remember not to overdo this as too much grain/starch in the diet will lead to gastric dysfunction such as colic, acidosis and potentially, laminitis. Also remember to reduce the additional amount of feed in the diet when you are not expecting the additional performance. If you are changing your horse's diet, please make sure you rebalance the diet. If you are giving a feed or product designed to be fed at a rate of two kilograms a day, and you simply add additional energy to the diet such as 2kg of oats (gradually increase) and not rebalance the diet to compensate for the new workload, you may not be meeting your horse's nutritional requirements. I would suggest talking to your nutritionist or feed provider to see if they already have a diet formulated to meet your horse's nutrient requirement at a higher feed intake level. You can then ensure your horse will be meeting its requirements for its new working conditions. When I hear horses are flat, they may actually have muscle soreness and may not being willing or capable of moving with the vigour or intensity that you desire for them. After a period of rest or an increase in intensity of the work, muscles will need to develop or repair. Proteins, specifically essential amino acids and antioxidants such as vitamin E and selenium, play an important role in assisting your horse to develop or recover for work. This is quite important if we are working on young horses, as they are still growing and developing as well as increasing their performance requirements. If you have both young and older horses in your team, you must treat them differently as the younger horses will have increased energy, protein and mineral requirements. Minerals also play an important role to enable our horses to rebound from being flat. Electrolytes such as sodium, chloride, magnesium and potassium play an important role in the electrical pathway of our bodies. Electrolyte balance controls the contraction and release of muscles. If these are out of balance the horse's ability to move will be restricted and may lead to muscle damage and soreness and thus their willingness to move freely — and a flat appearance — will occur. Electrolyte depletion can be common as we bring horses to work when it is colder and we are not seeing the horses sweat or we have increased their workload and have not compensated for this. Solutions to this are, in consultation with your nutritionist, to add electrolytes to the feed, or free choice salts in the form of a lick or block. Horses do have some nutritional fortitude when it comes to salt/electrolytes. The internal gut health of your horse can also be another reason why your horse is feeling flat. An incorrect ratio of your horse’s microbiome can be a reason for your horse feeling flat. This can be caused by disease, pathogenic bacteria, diet such as excessive grain/fermentable pasture intake, and extended periods of antibiotic therapy, to name a few examples. Careful monitoring of your horse's health and manure can give you some understanding of your horse's microbiome. Nutritionally there are products such as prebiotics and probiotics that can assist in stabilising your horse’s microbial population to assist in normalising their microbiome. They do this by the addition of beneficial bacteria (probiotics) or assisting in creating an environment suitable for the proliferation of beneficial bacteria. There are many reasons why your horse may feel flat. Carefully managing your horse's health along with your veterinarian and nutritionist will assist in maintaining your horse in peak physical shape. Remember, if you change anything in their development, performance level or diet it will have an effect.